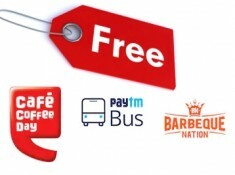 1) Offer is valid for selected merchants registered with Paytm to whom offer has been communicated by Paytm. 2) Offer is valid on payments accepted using Paytm QR Code or Paytm registered mobile number of the merchant during the Offer Period. 3) Merchant needs to accept 5 or more payments from minimum 5 unique customers in a month to be eligible for the offer. 4) Merchant needs to give missed call from their Paytm registered mobile no on 7291993949 to be eligible for the offer. 9) In cases of fraudulent/suspicious transactions, Paytm solely reserves the right to revoke the offer.